Proprietary Ambient Noise Reduction (ANR) Technology reduces on average 85% of unwanted background noise up to 24x sound amplification. Power on/off, bell/diaphragm/extended range frequency, and (+) and (-) buttons to adjust sound level up or down. LCD interface advises you of current sound level, and if you are in bell, diaphragm, or extended range frequency mode. 3M Littmann patented soft-sealing eartips in 2 sizes. 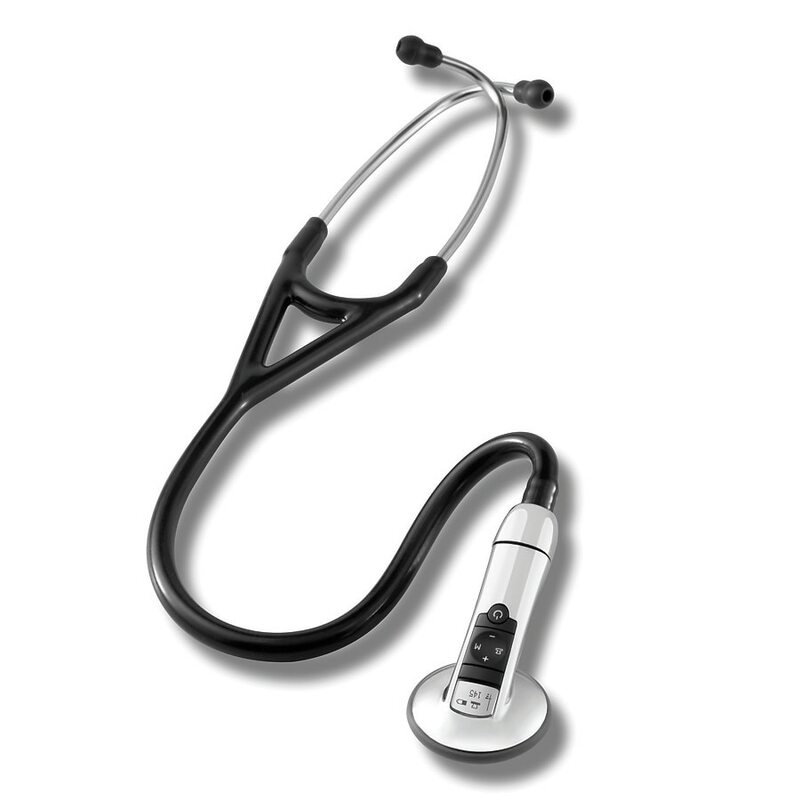 Stethoscope stays in battery-saving "sleep mode" until you start your next auscultation.